The East Melbourne Synagogue (Mickva Yisrael) was consecrated in September 1877. The first Synagogue in Melbourne was established in 1847 in Bourke Street, but its Rabbi, Moses Rintel, with thirty predominantly German-Jewish followers, split away in 1857 to establish the Mickya Yisrael. 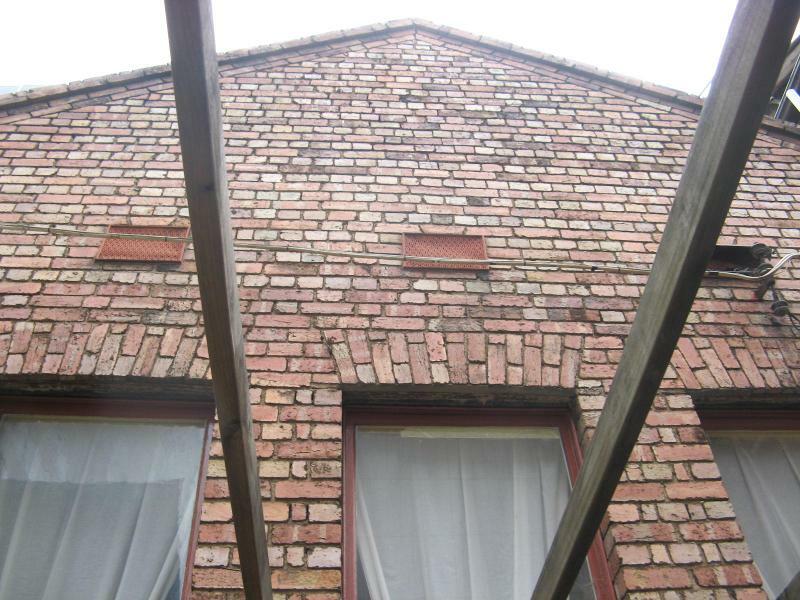 The two-storeyed building designed by noted Melbourne architects Crouch and Wilson in 1877 is of rendered brick with a slate roof. The facade was completed in 1883 in the style of the Renaissance Revival. The facade comprises five bays, with the central three bays treated as a slightly projecting pedimented temple front. Tuscan pilasters divide the bays of the lower floor, and Corinthian pilasters divide the upper floor bays. The Star of David is set in bas-relief within the tympanum. A continuous parapet is carried over the tympanum and the dentillated cornice. 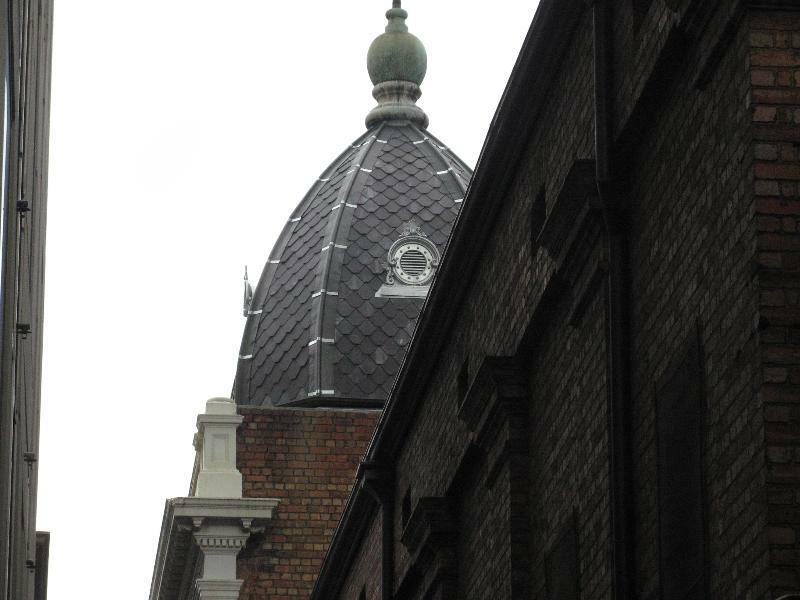 Twin steeply-raking octagonal domes flank the central pediment. The internal space is organised by a gallery on three sides carried by cast iron columns. The balustrade of the gallery is of swag-bellied cast iron. The main ceiling is panelled with a dentillated and modillionated cornice. A Bema and Tabernacle and the interior in general remain in an intact state. 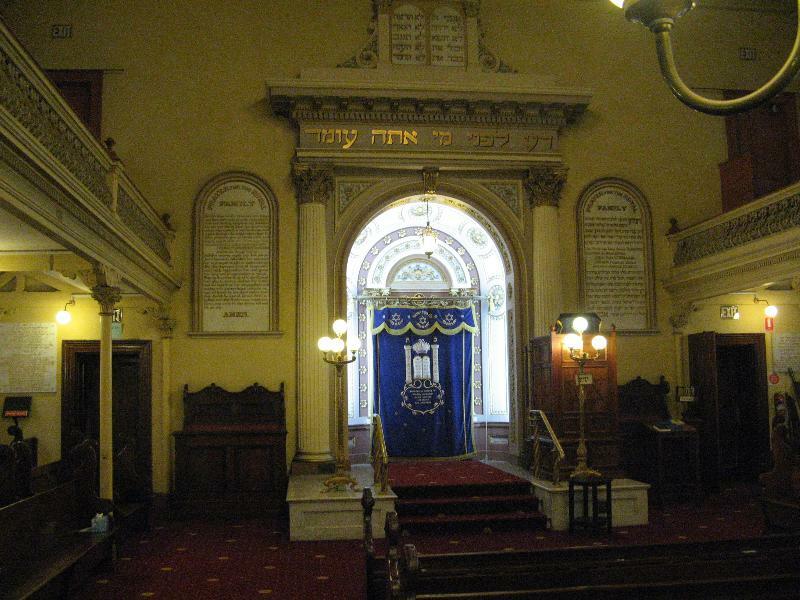 The East Melbourne Synagogue is of historical, social and architectural significance to the State of Victoria. 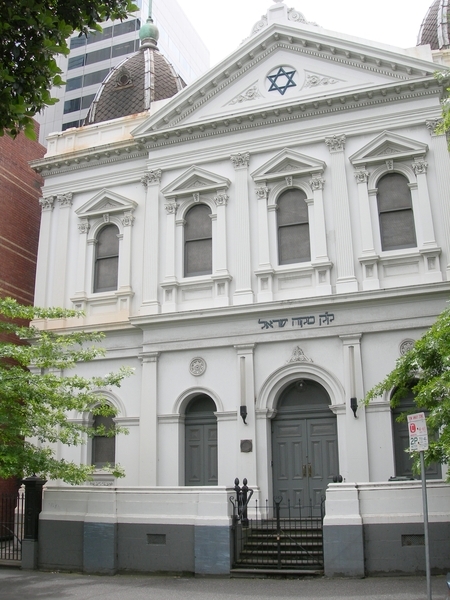 The East Melbourne Synagogue is historically significant as the oldest and largest functioning Synagogue in Victoria. It is a replica (internally) of Melbourne?s first (since demolished) synagogue in Bourke Street. 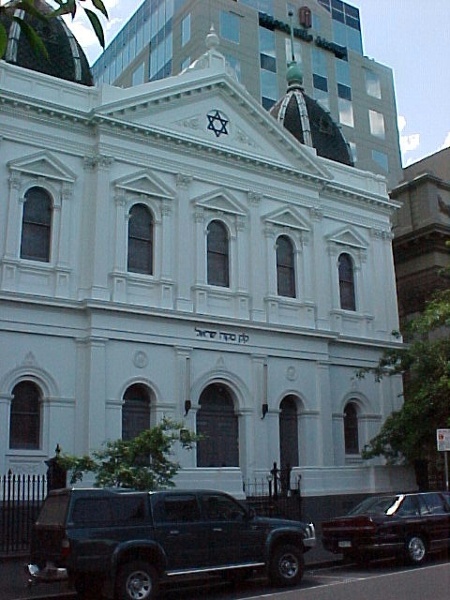 The East Melbourne Synagogue is socially significant for its associations with the Jewish community in East Melbourne, and particularly as an early focal point for religious worship in East Melbourne. 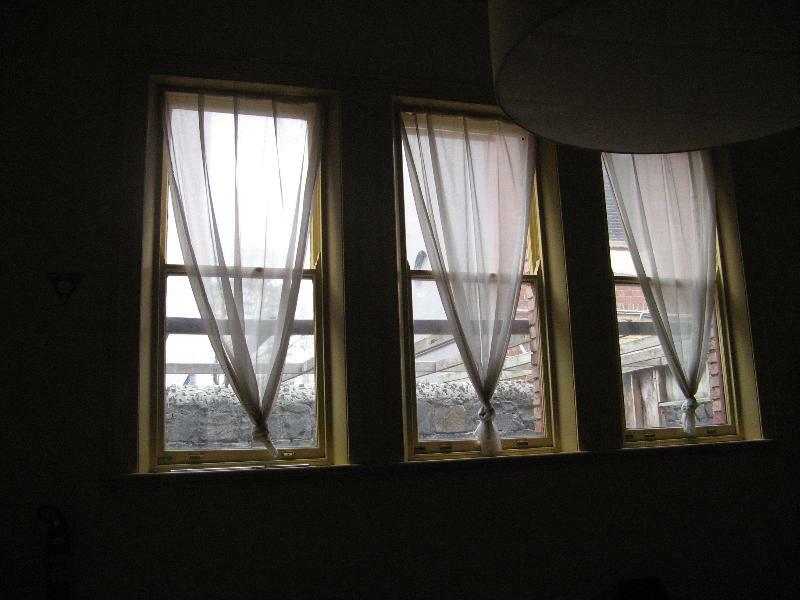 The Synagogue is of social significance to the Mikvah Yisrael congregation, who split away from the Melbourne congregation in Bourke Street in 1857. They were without a permanent meeting place for twenty years until the consecration of the new building on 5th September 1877. 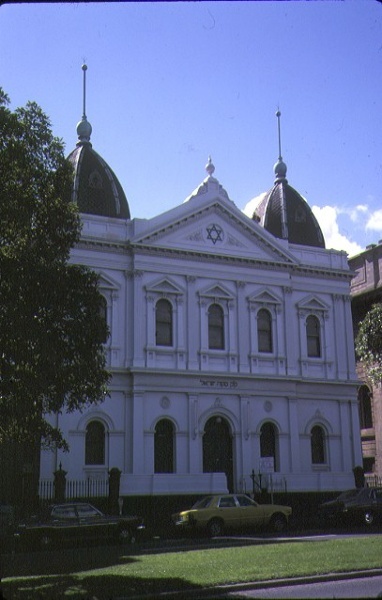 The East Melbourne Synagogue is architecturally significant for being representative of the fine work of noted Melbourne architects Crouch and Wilson. It is also significant for its conventional but imposing Renaissance Revival facade with the unusual addition of the two octagonal domes flanking the central pediment; the survival of an intact bema and tabernacle, and the unusual arrangement of impost blocks over the cast iron columns of the gallery. All of the place shown hatched on Diagram 495 encompassing all of Lot 1 on Title Plan 81025. 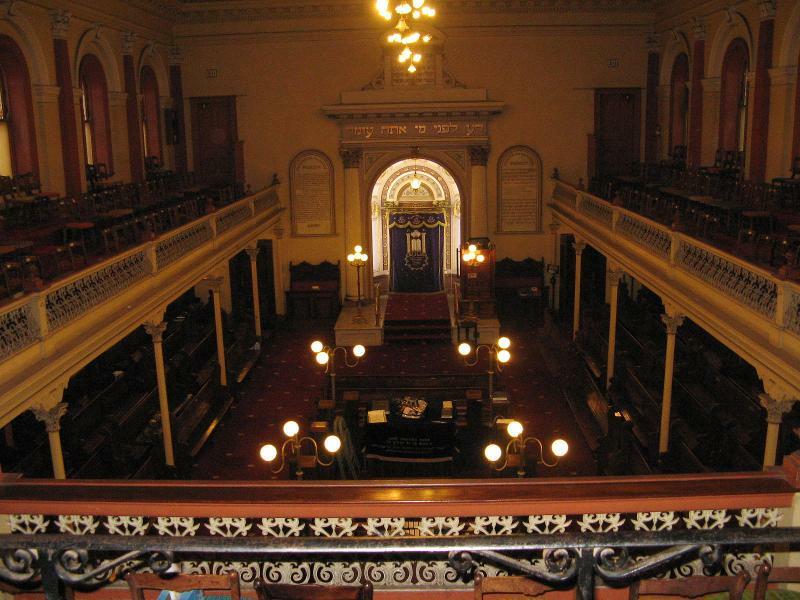 The Jewish Congregational Society was formed in 1841, and in 1844 it obtained a grant of land in Bourke Street. 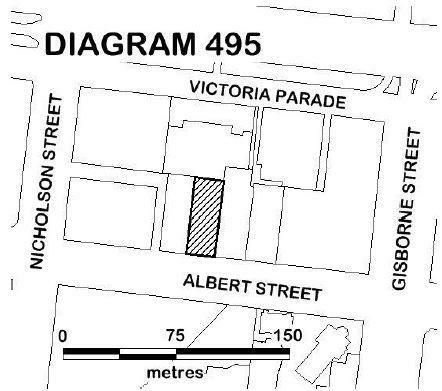 Melbourne's first synagogue was established in Bourke Street in 1847 and was consecrated in 1848. 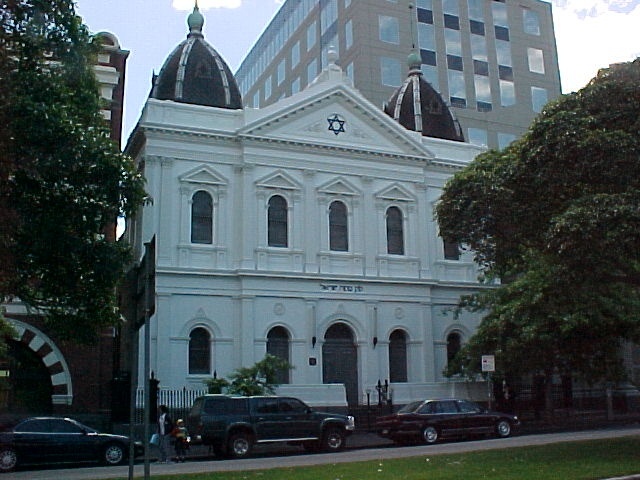 The Melbourne Hebrew Congregation replaced this structure with a more permanent building in the classical style in 1855. It was sold and demolished in 1929. This congreagtion moved to the a new synagogue, designed in 1930 by Nahum Barnet, in Toorak Road, South Yarra. 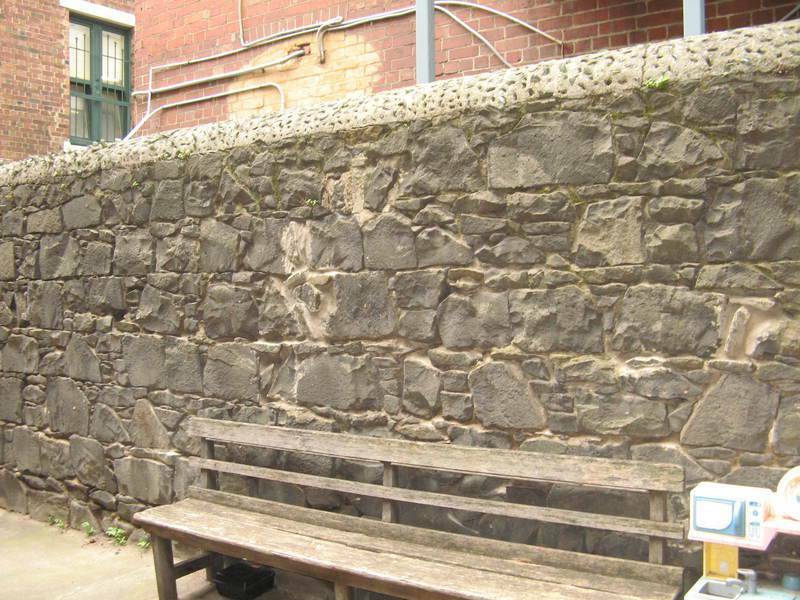 In 1857 the second congregation had formed in East Melbourne, composed largely of recently arrived Grerman Jews. They split from the Melbourne Congregation after a doctrinarial disagreement with the synagogue committee. 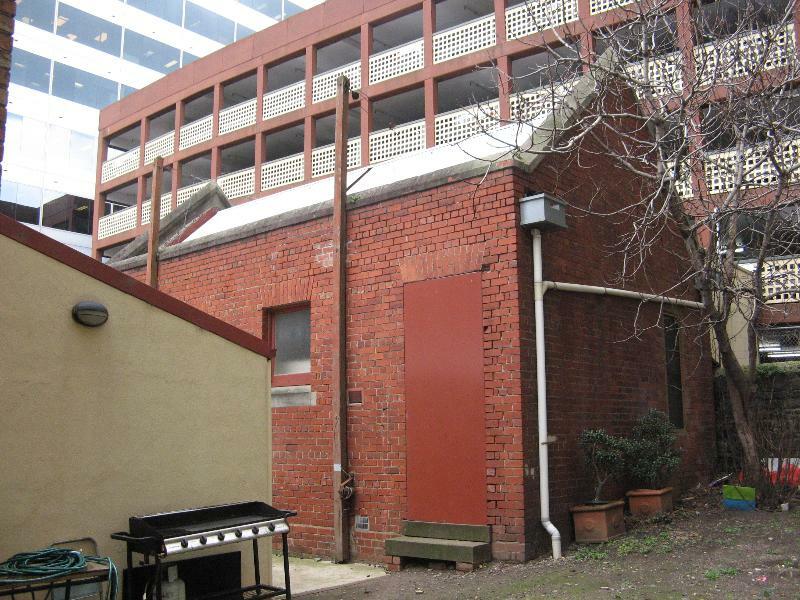 They met in hired premises until the construction of a small synagogue was complete in 1860 on the corner of Little Lonsdale and Stephen Streets (now City Free Kindergarten, Exhibition St.) The East Melbourne Congregation moved to new premises in Albert Street in 1877. History of Place: The site was bought for 2261 pounds and the foundation stone was laid on 20th March 1877 by Henri J Hart, brother in law of Rabbi Rintel. The building was consecrated on 5th September 1877 but the facade was not finally finished until 1883. 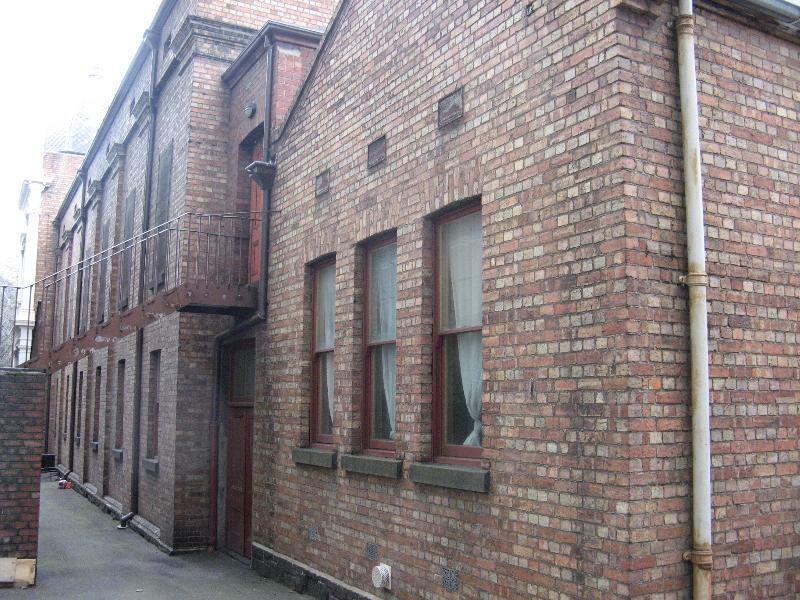 The building was finished at a cost of 5000 pounds by the firm of Delbridge and Thomas.